Norman Edward McPhee was born to William McPhee and Mary Williams of Goldsmith Street Hamilton in 1896. 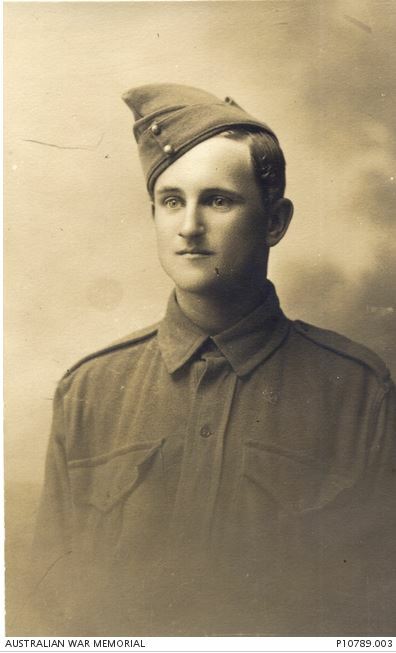 On 1 October 1914, when just eighteen years and one month, Norman enlisted. He left with the 14th Battalion on 22 December 1914 for Egypt. Norman was at the landing at Gallipoli on 25 April 1915. After returning to Egypt, Norman transferred to the newly formed 46th Battalion on 3 March 1916 and proceeded to France in June 1916. Their first battle on the Western Front was Pozieres. On 26 August, Norman was promoted to Corporal. On 13 March 1917, the Hamilton Spectator reported Norman’s mother had heard that he’d been “slightly wounded” in France. In that month, Norman was granted furlough in England and he did not rejoin his battalion, then in Belgium, until 4 August 1917. On 15 September 1917, Norman was promoted to Sergeant. A report of his death in the Hamilton Spectator on 11 October 1917, noted that in 1060 days with the AIF, Norman had served at Gallipoli including the landing, Pozieres, Somme and Bullecourt. A tree was planted for Norman along Hamilton’s Anzac Avenue and his name is on the Hamilton War Memorial.